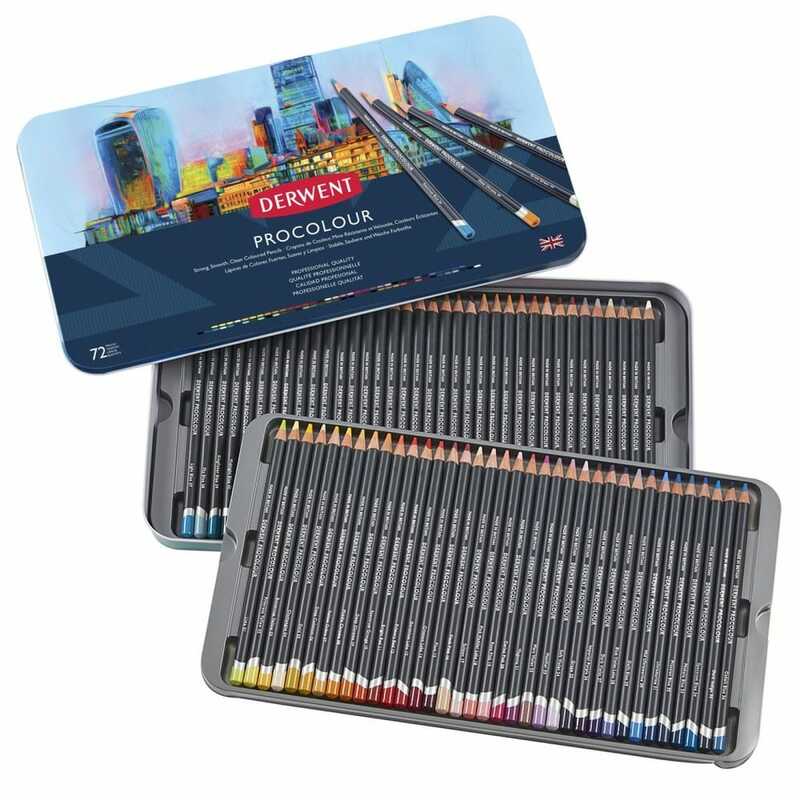 Derwent Procolour pencils are the latest addition the professional range of coloured pencils. The perfect combination of a strong point and smooth laydown, with a texture that has the covering power of wax yet glides like an oil. The richly pigmented pencils maintain a sharp point for detailed drawing while minimal dusting keeps work clean and smudge-free. 72 colours: 0,1 02, 03, 04, 05, 06, 07, 07, 08, 09, 10, 11, 12, 13, 14, 15, 16, 17, 18, 19, 20, 21, 22, 23, 24, 25, 26, 27, 28, 29, 30, 31, 32, 33, 34, 35, 36, 37, 38, 39 40 41 42 43 44 45 46 47 48 49 50 51 52 53 54 55 56 57 58 59 60 61 62 63 64, 65, 66, 67, 68, 69, 70, 71 and 72.